Gene-edited Foods: Gene editing is the biggest technical advance in bioscience since the discovery of “recombinant DNA” technology — artificially mixing genetic material — in 1973. That launched the era of genetic engineering and led to the commercialisation of genetically modified (GM) crops in the 1990s. Now gene editing (GE) is for the first time giving researchers a fast, reliable way to make precise changes in specific genes. But its use in farming is in the balance after a European ruling last year equated it with heavily regulated GM. By early next year, the first foods from plants or animals that had their DNA ‘edited’ are expected to begin selling. It’s a different technology than today’s controversial ‘genetically modified’ foods, more like faster breeding that promises to boost nutrition, spur crop growth, and make farm animals hardier and fruits and vegetables last longer. Food Analysis: Food analysis is the discipline dealing with the development, application and study of analytical procedures for characterizing the properties of foods and their constituents. These analytical procedures are used to provide information about a wide variety of different characteristics of foods, including their composition, structure, physicochemical properties and sensory attributes. This information is critical to our rational understanding of the factors that determine the properties of foods, as well as to our ability to economically produce foods that are consistently safe, nutritious and desirable and for consumers to make informed choices about their diet. The objective of this course is to review the basic principles of the analytical procedures commonly used to analyze foods and to discuss their application to specific food components, e.g. lipids, proteins, water, carbohydrates and minerals. The following questions will be addressed in this introductory section: Who analyzes foods? Why do they analyze foods? What types of properties are measured? How does one choose an appropriate analytical technique for a particular food? Food and Nutrition: The effective management of food intake and nutrition are both key to good health. Smart nutrition and food choices can help prevent disease. Eating the right foods can help your body cope more successfully with an ongoing illness. Understanding good nutrition and paying attention to what you eat can help you maintain or improve your health. Food and Beverages Processing: Food Processing is the transformation of food by physical and chemical compounds into another form. Food preparing ordinarily includes steps, for example, mincing and macerating, liquefaction, emulsification, and cooking, (for example, heating, bubbling, searing, or flame broiling); pickling, purification, and numerous different sorts of safeguarding; and canning or other bundling. Food and Beverages Adulteration: Due to contamination, food and beverages gets impure and unfit for human use. It prompts the loss of supplement content in the food. Contaminated food is hazardous because it may be lethal and can impact human prosperity and it could degrade the supplements fundamental for proper improvement of human body. Adulterants are the substances which are utilized as a part of the processing of food items harmful for human utilization; substandard sustenance and sustenance containing incidental issue. Food Nanotechnology: Food Nanotechnology is simply the task or get together of every particle and sub-atomic groups into structures to create materials with various properties. Nourishment science in Nanotechnology is the means by which sustenance is produced and how it is bundled. A few nanomaterials are created that have any kind of effect in food taste, nourishment wellbeing and medical advantages. Silicate nanoparticles are delivered to give a hindrance to dampness in a plastic filmutilized for bundling and consequently nourishment ruining or drying is diminished. Scientists are utilizing Nano sensors that can distinguish microscopic organisms, for example, Salmonella at a packaging point. Biotechnological Applications in Food Technology: β-Galactosidases produced by microorganisms are being utilized in food technology for hydrolysis of lactose in milk and milk by-products. The catalyst has gained much consideration in perspective of lactose intolerance in human population and because of significance of milk in human eating routine. β-Galactosidases hydrolyse β-galactopyranosides, that is, lactose, and shape a scope of transductiongalactosylation items or galactooligosaccharides (GOS) fit for giving a few medical advantages as prebiotics. Lactic acid bacteria (LAB) are a potential source of food grade enzymes and other metabolites. Lactic acid bacteria producing extracellular cell bound β-galactosidase have been isolated and enzyme production was carried out using modified MRS medium incorporating lactose as enzyme inducer. Food Safety: Inadequate dietary intake during pregnancy is a major problem in many low-income countries. The Household Food Insecurity Access Scale (HFIAS) was adjusted to investigate family unit nourishment get to and the individual dietary decent variety survey to explore women’s dietary variety. Nourishment security relates straightforwardly to sustenance and wellbeing. Regularly sustenance security is thought of as being identified with accessibility and access of foodstuffs.However, the danger to nourishment security additionally lies with urbanization, wage difference, overpopulation, biological system debasement, creature wellbeing, and sustenance healthiness. Sustenance healthiness is additionally an essential part of nourishment. Healthiness is observed by means of sustenance wellbeing and nourishment resistance programs, making them basic parts of a nourishment security program too. Food Waste Management: The time from initial farming creation down to definite family unit utilization, food is lost or squandered all through the inventory network. Nations under medium-and high-pay gather the misuse of sustenance is noteworthy at the utilization organize, which implies they set a standard a such high that they dispose of such nourishment which is generally appropriate for human utilization. In Industrialized locales, a noteworthy loss of sustenance happen beginning time of nourishment inventory network. Food Toxicology: Nourishment Toxicology incorporates food prejudice, food hypersensitivity, foodborne diseases, sustenance illumination and metabolic issue. Nourishment businesses have distinctive plants everywhere throughout the world and that would improve the conveyance of neighbourhood sustenance. So to abstain from bringing in remote foodborne pathogens or to abstain from trading nourishments containing pathogens, more serious screen of foodborne pathogens is required. Microbiological quality control of the work station of those chain frameworks is ending up vital in the coming years foodborne infections may increase as a result of expanded globalization of our sustenance supply. Food Microbiology: Food Microbiology is the study of the microorganisms that inhibit, create, or contaminated food, including the study of microorganisms causing food spoilage, pathogens that may cause disease especially if food is improperly cooked or stored, those used to produce fermented foods such as cheese, yogurt, bread, beer and wine and those with other useful roles such as producing probiotics. Food Quality Control and Quality Assurance: Quality assurance (QA) is a set of activities for ensuring quality in the processes by which products are developed. It’s a proactive process and aims to prevent defects by concentrating on the process used to make the product. The goal of QA is to improve development and test processes so that defects don’t arise when the product’s being developed. Quality Control can be achieved by identifying and eliminating sources of quality problems to ensure customer’s requirements are continually met. It involves the inspection aspect of quality management and is typically the responsibility of a specific team tasked with testing products for defects. Nutraceuticals and Functional Foods: Nutrition is characterized as a science related to sustenance and supplements in the upkeep of wellbeing, development and propagation of a life form. It contains biosynthesis, retention, discharge and digestion. A modified meal that professes to create wellbeing or prosperity by offering advantages and brings down the danger of chronic infection behind that of customary supplements it contains. Useful foods may involve such things as breads and grains that are revived with herbs, vitamins and nutraceuticals. Advancements in Food and Beverage: Food and beverage technology is the application of food science to the selection, preservation, processing, packaging, distribution, and use of safe food and beverages. Related field of food and beverage technology includes analytical chemistry, industrial chemistry, biotechnology, engineering, nutrition, quality control, and food safety management. Food and beverage technology is a series of process starting with food research, product development, quality assurance and quality control and food regulation. Food and beverage technology is a careful, systematic study, investigation, and compilation of information about foods and their components. Food and Beverages Preservation: Food production is the process of transforming raw ingredients into prepared food products. Food production includes industries that take raw food products and convert them into marketable food items. Home food production includes converting produce into forms for long-term storage. Food processing is the process of changing or transforming raw food materials into consumable forms or products. Food processing offers many advantages such as prolonging the life span of the food, preventing food from going bad, for easy packaging etc. Food preservation involves preventing the growth of bacteria, fungi (such as yeasts), or other micro-organisms (although some methods work by introducing benign bacteria or fungi to the food), as well as slowing the oxidation of fats that cause rancidity. Beverage Technology: The non-alcoholic beverage market is the fastest growing segment of the functional food industry worldwide. Consistent with beverage consumption trends generally, the demand among consumers of these products is for high-nutrient drinks made from natural, healthy ingredients, free of synthetic preservatives and artificial flavor and color enhancers. Such drinks require specialized knowledge of exotic ingredients, novel processing techniques, and various functional ingredients. The Food and Beverages industry is slowly finding multimillion dollar openings being developed markets in differing nations. While grown-up business sectors are showing a move while in transit to common and naturally sourced food, a requirement for processed and fast food is presently coming to fruition in developing economies. Food and Beverages market analysis and producers in this industry typically work on low overall revenue and high volume deals and are thus an essential to profit. Low overall revenues continue to be an issue to organizations in the Food and Beverages industry however fixing administrative condition will likewise pressure organizations to realign their tasks to certain degree. With the experience of expanding necessity to be more responsive towards nourishment security worries, there is a striking interest for food & beverages statistical surveying reports. The worldwide food and beverages industry is developing at 3.5% a year and is relied upon to be worth more than US$7 trillion by 2014. Key patterns for new item advancement are in wellbeing, accommodation, naturality and maintainability. New foods based on fruits and vegetables satisfy a large number of the requests of the exceptional buyer. The characteristic "wellbeing corona" of normal create make fixings got from leafy foods very looked for after in the worldwide commercial center. The market for useful food and beverages – nourishments that offer advantages past fundamental sustenance – is one of the quickest developing sections of the worldwide food and beverages industry. Sustenances and refreshments that offer approved wellbeing claims represent around US$25 billion of worldwide deals, he more extensive practical nourishment advertise, including rehydration and games beverages and eatables with milder wellbeing claims, is evaluated to be worth around US$200 billion. The exploration report titled "Food and Beverages Processing Equipment Market Global Opportunity Analysis and Industry Forecast (2017-2022)" gives a top to bottom investigation of sustenance handling hardware advertise in five noteworthy topographies and accentuates on the present market patterns, showcase measure, piece of the pie, ongoing improvements, and estimate till 2022. Worldwide sustenance preparing gear advertise is relied upon to achieve USD 74,019.6 million by 2022, at a CAGR of 6.1% amid the estimate time of 2017 to 2022. The different factors, for example, expanding buyer interest for handled nourishment items, developing spotlight on sustenance wellbeing and security of laborers, rising need to build efficiency, developing focal point of sustenance makers to decrease creation cost, and government support to advance sustenance preparing area are driving the development of worldwide sustenance handling hardware advertise all inclusive. What's more, rising economies, for example, Latin America, South East Asia, and Africa gives huge chance to the producers in this market. Conference Series LLC successfully hosted the 16th Euro Global Summit on Food & Beverages during March 2-4, 2018 at Hyatt Place Amsterdam Airport, Amsterdam, Netherlands. The conference focused on the theme “Exploring Recent Advancement in Food and Beverages”. The conference was successful in gathering eminent speakers from various reputed organizations and their paramount talks enlightened the gathering. The pragmatic meet organized by Conference Series LLC received generous response from the Editorial Board Members of Journals as well as expertise from academia, talented researchers and young student community. Researchers and students who attended from different parts of the world made the conference one of the most successful events in 2018. The conference was marked with the presence of renowned Speakers, Young Researchers, Students and Business Delegates driving the three day event into the path of success with thought provoking keynote and plenary presentations. The scientific program paves a way to gather visionaries through the research talks and presentations and put forward many thought provoking strategies. Euro Food 2018 will schedule and coordinate all meetings with our Editorial board members and other experts in the field of Food Safety, Food borne illness, Food toxicology, Food adulteration, Food Microbiology across the world. 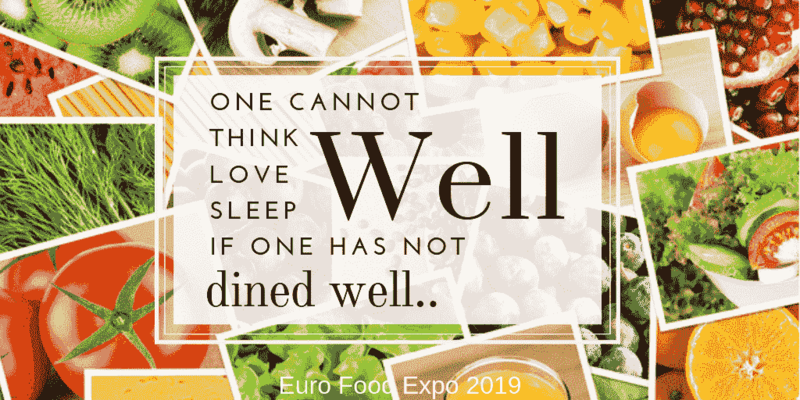 We extend our heartiest thanks to all the Organizing Committee Members for their kind support rendered towards the success of Euro Food 2018. At the same time we take the opportunity to thank all the speakers, delegates and participants for providing their valuable contribution and time for Euro Food 2018. Euro Food 2018 Organizing Committee would like to thank the Moderator of the conference Prasanta K. Kalita, University of Illinois, USA who contributed a lot for the smooth functioning of this event. 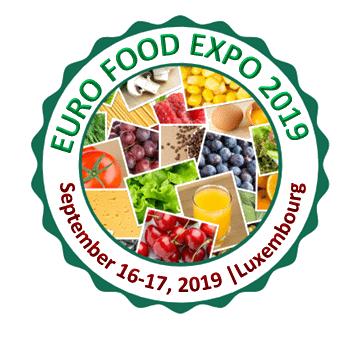 With the encouragement from the enormous feedback from the participants and supporters of Euro Food 2018, Conference Series LLC is glad to announce European Conference on Food and Beverages Expo(Euro Food Expo 2019) during September 16-17, 2019 at Luxembourg.